Geospatial datacubes are the database backend of novel types of spatiotemporal decision-support systems employed in large organizations. These datacubes extend the datacube concept underlying the field of Business Intelligence (BI) into the realm of geospatial decision-support and geographic knowledge discovery. The interoperability between geospatial datacubes facilitates the reuse of their content. Such interoperability, however, faces risks of data misinterpretation related to the heterogeneity of geospatial datacubes. Although the interoperability of transactional databases has been the subject of several research works, no research dealing with the interoperability of geospatial datacubes exists. In this paper, the authors support the semantic interoperability between geospatial datacubes and propose a categorization of semantic heterogeneity problems that may occur in geospatial datacubes. Additionally, the authors propose an approach to deal with the related risks of data misinterpretation, which consists of evaluating the fitness-for-use of datacubes models, and a general framework that facilitates making appropriate decisions about such risks. 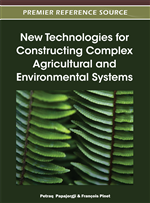 The framework is based on a hierarchical top-down structure going from the most general level to the most detailed level, showing the usefulness of the proposed approach in environmental applications. This section discusses the risks of data misinterpretation related to semantic interoperability in general and the one involving geospatial datacubes in particular. A datacube is composed of a set of measures aggregated according to a set of dimensions with different levels of granularity. Both dimensions and measures of a geospatial datacube may contain geospatial components (Bédard et al., 2001). Interoperating geospatial datacubes may involve one or the combination of the following actions on their components: 1) integrating measures which may refer to adding a new measure to a datacube from another one based on common dimensions and members, or creating a new common measure based on existing measures of different datacubes, 2) integrating dimensions which may refer to creating a new dimension based on the dimensions of different datacubes, adding one or several dimensions of one datacube to another, or modifying a dimension of a datacube by using existing dimension’s levels of another datacube, or 3) comparing a dimension or a measure against another.